MARTHA MOMENTS: Home at Last! The September issue always heralds a return to the cozy comforts of home, a focus on design and interiors and many of my favourite subjects. 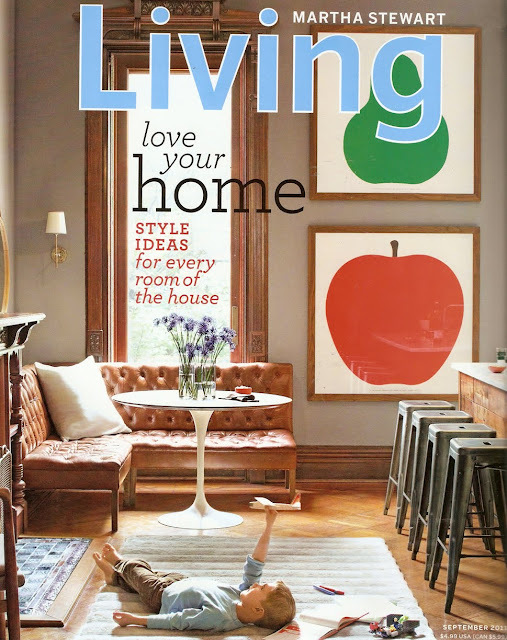 This year's issue steadfastly holds true to the hallmarks of a good Martha Stewart September issue. There is a lot of emphasis on interior design, rustic late-summer/early-fall dinners, DIY design ideas and articles on collecting. There is a nice touch of the outdoors in this issue, too. Martha takes us through the process of planting spring bulbs at her Bedford farm and an article on how to maximize your outdoor living spaces offers 12 easy steps to help you beautify and enjoy those areas before the colder weather truly descends. Below are some highlights from the issue. 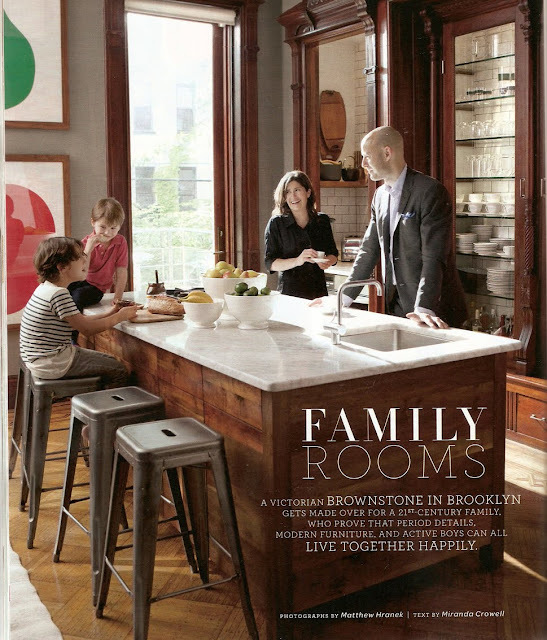 Martha Stewart Living editor-in-chief Pilar Guzmán takes us through her Brooklyn brownstone where she lives with her husband and two children. The home is breathtaking and filled with charm, personal touches and a wonderful sense of warmth. It is also featured on the cover. Alexis and Martha Stewart are both insatiable collectors of jadeite dinnerware, identified by its pretty green hue of thick glass. Their enormous collection, which contains pieces dating back to the early 1930s, is now housed primarily at Skylands, Martha's home in Maine, where this story was photographed. Bored with your doors? The decorating editors provide all kinds of inspiring design solutions to spruce up any door in your home, from the front entrance all the way to the bedroom closet, shown above. How nice it is to have just one pan to clean up after dinner. 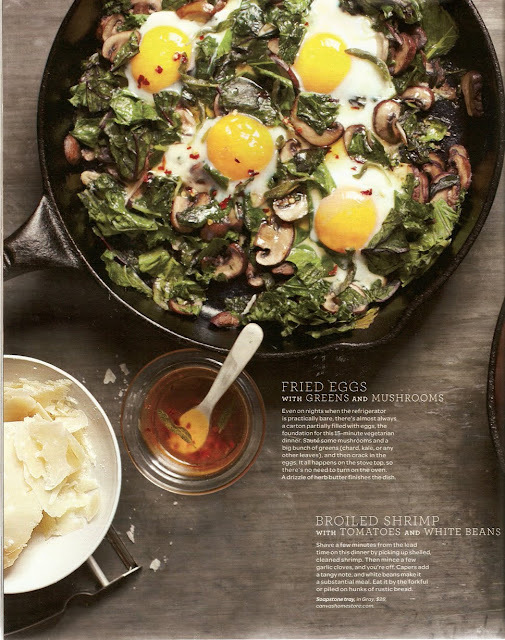 The food editors give us several pages of mouth-watering ideas for one-pan meals that are sure to please. 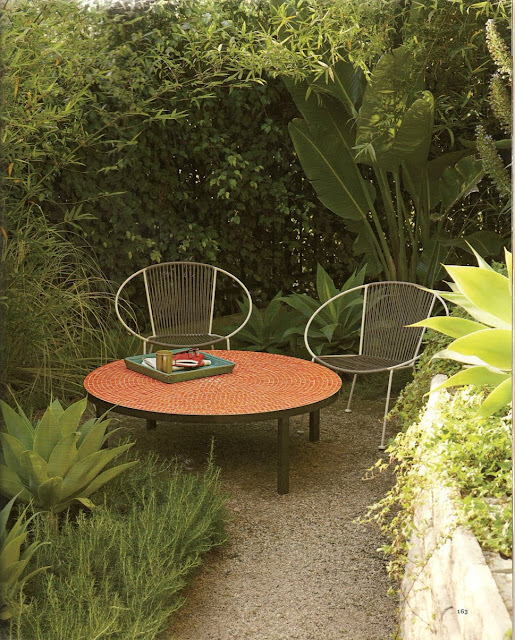 A story on outdoor living spaces is a refreshing tribute to late-summer respites on patios, benches and other backyard hideaways. I have to agree with you, Andrew... the September issue is one of my favorites! Actually, the issue kicks off the 'final four' of the year - which are always inspirational as we move from easy summer living into the season of home and holidays. 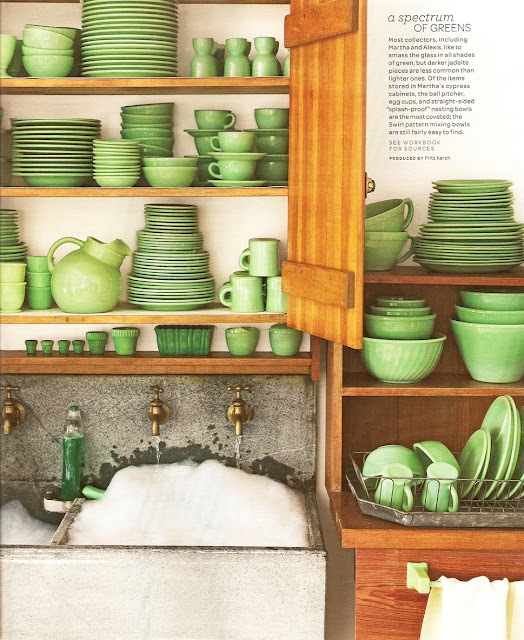 I loved the article on jadeite.. being a collector of the milky green glass (We have a ton of it and cuss Alexis constantly [in fun] for having some very hard to find pieces!) I got my start after seeing the green beauties on the old Martha Stewart Living set. I noticed that they removed the "special decorating issue" tag from the September issue - but it remains true to the theme. LOVE this issue! Haha! I found your blog today and had to laugh when I read this post because I wrote about the jadeite article in this Sept issue. I have to agree, about the content of the magazine transition into more autumnal subjects, more cozy. Can't wait to read more.